Departure In The Night By Dadar Amritsar Express. To Leave Mumbai By Paschim Express, Rajdhani Or By Firozpur Express. Tourists Traveling By Dadar Amritsar Express Will Reach Amritsar At 4:00 Pm. Tourists Traveling In Rajdhani & Firozpur Express Who Left Mumbai On Second Day Will Reach Delhi & Then By Taking Shatabdi Express At 4Pm Will Reach Amritsar At 10:30Pm. Tourists Traveling By Paschim Express Will Reach Amritsar Directly At 7:Pm. Arrival At Amritsar , Meet At Railway Station & Transfer To Hotel. Stay In Amritsar. Note : Tourists Having Different Route Ticket Should Take The Required Details From Our Office. In Afternnon We Will Be Visiting Indo-Pak Attari Wagah Border.Attari Wagah Border: Here We Will Watch Soldiers From Both Countries March In Perfect Drill, Going Through The Steps Of Bringing Down Their Respective National. In Morning At Around 6 Am We Will Leave For Katra. 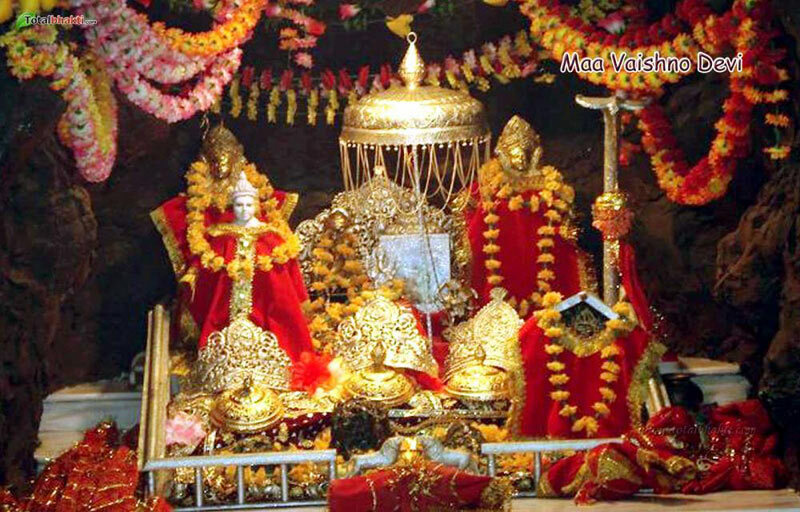 After Taking Rest In Katra, Around 7:30 Pm - 8 Pm You Can Start Your Yatra For Vaishno Devi. 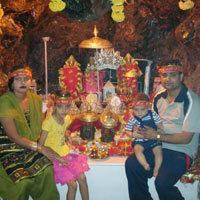 From This Village You Can Visit Vaishno Devi By Horse,Helicopter Or By Walking. 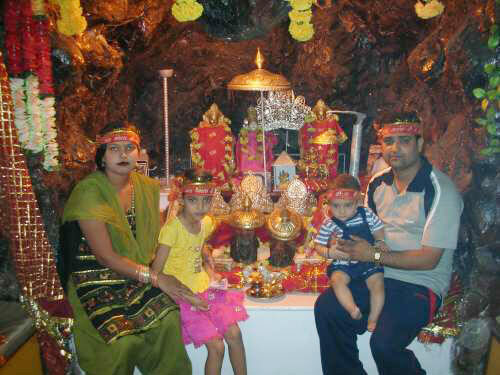 Tourist Who Wish To Go By Helicopter To Vaishno Devi, Can Book Tickets Any Time. Proceed To Srinagar. After Reaching By 5 Pm In Evening Stay At Srinagar. Visit Gulmarg, Tanmarg, Khilanmarg, Rope-way, enjoy Ice-skating. Stay in Srinagar. Morning Enjoy Shikara Ride And Visit Nehru Park, Kabutarkhana, Charminar, Lotus Garden, Floating Garden. Proceed For Chashmeshahi , Nishad & Shalimar Garden. Stay In Srinagar. 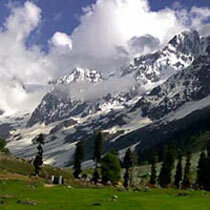 Hazarathbal, Sindhunadi, Sonmarg ( In Sonmarg You Will Enjoying Playing In Snow). Stay In Srinagar. Visit Martand Mandir, Awantipora (Capital Of Pandav), Pampur (Saffron Field). Further Sites You Can See By Walking Or Bye Horse. ( You Can Visit Chandanwari And Play In Snow On Your Own Expenses . By Taxi It Is 10 Km ) Proceed To Golf Ground, Club House, Bobby House, Mamleshwar Mandir, Gaurishankar Mandir, & Lider River. Stay In Srinagar. Yusmarg Is A Small Meadow, Set In The Heart Of The Mountains In The South West Of Srinagar. You Will Feel The Beauty Of Kashmir. Rest Of The Day Is Free For Shopping. If Anyone Wants To Do Night Stay In Boat Can Get It Arranged On There Own. Travel From Srinagar To Jammu By Bus And Then By Train Leave For Mumbai Or Pune. You Can Also Catch Flight And Reach To Mumbai.